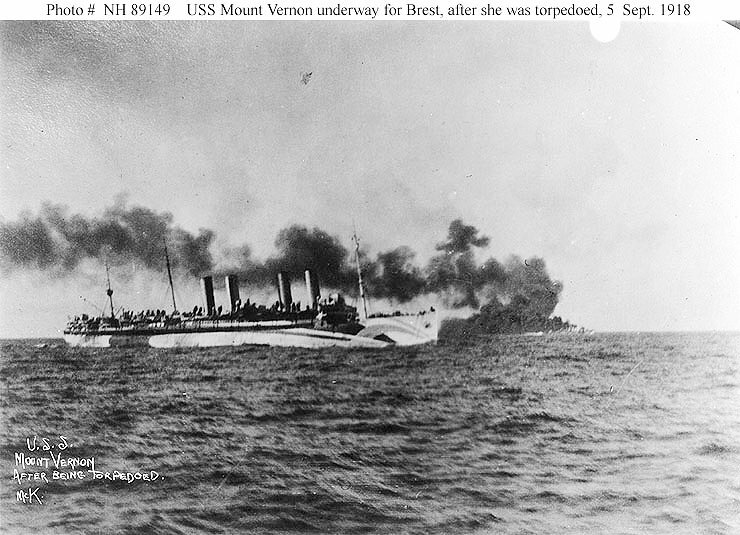 The USS Mount Vernon after she was torpedoed by a German submarine on September 5, 1918 in the eastern Atlantic. 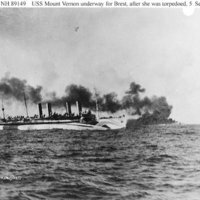 The torpedoe killed 36 men. The ship made port the next day in Brest, France, where she was given a temporary patch. It is possible that Buster Williams (1887-1945) was on the ship at this time. Digital reproduction of original black and white still photograph: NH 89149, Collection of Lieutenant P.W. Yeatman, USN (Retired), Naval History and Heritage Command, Washington, D.C.
United States Navy. “U.S.S. Mount Vernon.” RICHES of Central Florida accessed April 24, 2019, https://richesmi.cah.ucf.edu/omeka/items/show/10362.